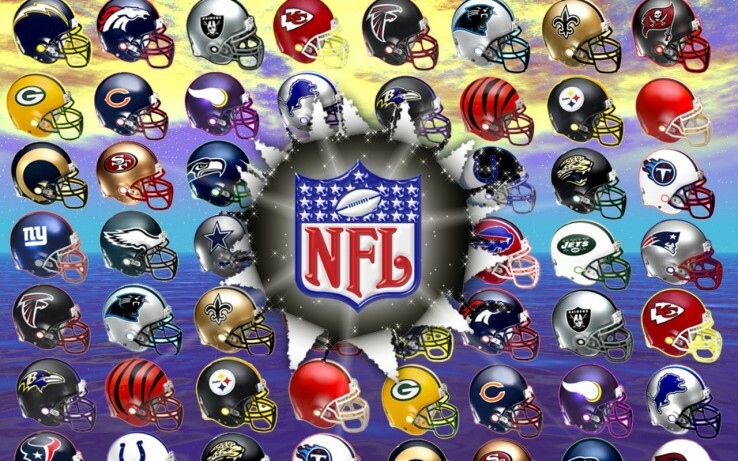 As seen earlier this week, we discussed the AFC and NFC South, the predictions, and more. 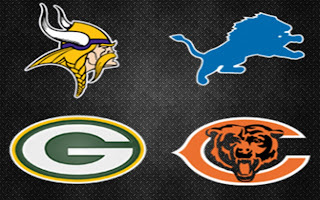 Today, we look at the AFC and NFC North. The AFC North will probably pan out like it has for a last few seasons. My hometown team, the Ravens is considered the best overall roster by many in the media. I think its a little premature to have those expectations, but I do believe they are always a contender. I think the Steelers and Bengals will battle the Ravens for the crown like in years past. The Browns are still a mess, so I don't see them contending. I actually have the Ravens winning the division crown, with Pittsburgh being the wild card. The AFC North and NFC North will both be HIGHLY competitive this season. On the AFC end, I think the Browns will clinch the division, while the Steelers and Bengals battle for a wild card, and yes that means the Ravens will be lost in the shuffle this time. If the Bengals do make the playoffs again, I see them going far, at least to an AFC championship. -I have the Ravens winning the division this year. -I have the Browns finishing at the bottom of the division. They aren't ready. -The Bengals may be in a wildcard position this season. I see them finishing 2nd or 3rd. -The Steelers could have a great season but I expect them to barely make 8-8 this season. -They're angry. They're mad as hell. And Perriman is like Torrey Smith with a dash more speed. While the Ravens lost a few key components, including Torrey Smith and Haloti Ngata, they've replaced them accordingly. Flacco will continue to prove he's an elite (or close to elite) quarterback. -I wish 0-16. But, truthfully? 9-7. The less time I spend on Pittsburgh, the better. -I just don't like what they've got going these past couple years. -Manziel could be special. This is his make or break year. I feel he'll stumble, but eventually get it together. -They're the Packers. It won't be a cakewalk, as some games will be nail biters. But, they'll have a pretty legit record. -They're going to surprise a lot of people. -They'll be average this year as usual. -Another decent season but they won't make the playoffs. -My preseason NFC superbowl contender. All starters returning and Devante Adams is ascending to be big time. Rodgers wants some revenge this season. -A lot better than last year. -Another standard season for them. -The NFC North will definitely be won by the Packers again, I think Rodgers is starting to get into those "prime" years and he's hungry for another title. Lions will still find a way to survive and possibly clinch a playoff spot. Vikings? To see AP back will be great but I don't know if Bridgewater can lead the team to a playoff spot just yet. The Bears? Who cares, but hey they might sneak up on a lot of people. It's just Cutler, he makes things look grim for the Bears. -The Bears will be lackluster again. 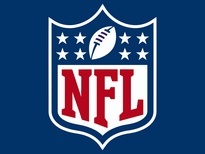 -The Packers will take the division soundly. This might be their year. -I expect the Vikings to get a wildcard spot. -Good season, but not good enough for a playoff spot. What's your NFL predictions for the AFC and NFC North? Write in comments below.